Prior to joining Platform161, Christopher has developed a broad knowledge and holistic approach to digital marketing and project management, working with market leaders like TRG, Undertone and SpotX. With over 10 years of experience, Christopher joined Platform161 as a Programmatic Consultant, which quickly transformed into the position of Projects & Privacy Director. With a diploma in law and a strong focus on Information and Communication Law, he is always thinking outside of the box to find solutions for complex issues. A speciality of Christopher is his ability to translate legal to digital and vice versa. Being a specialist in regards to the General Data Protection Regulation (GDPR) and data privacy as a whole, Christopher provides practical and bespoke advice to both Platform161 and their clients and partners, on how to prepare in a comprehensive and proportionate way for the threats and opportunities GDPR presents. Since July 2018 Christopher has taken on the Role as Managing Director Germany for Platform161, building the German business further and expanding into new regions as well as technological fields. He is also serving as the Pivacy Officer for the whole company. 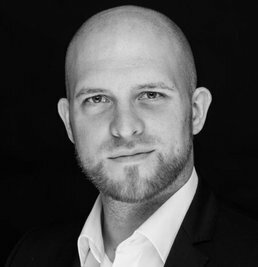 He has also been voted in as the Chairman of the Data Economy Department of the BVDW and works actively on a more connected market and a deeper understanding for market participants in regards to topics like data economy as a whole, data privacy and data in itself as a part of our modern society. With multiple published interviews and articles, Christopher is a well received speaker and panel host who is also acting as an expert counsel to the Code of Conduct Programmatic Adversiting 2.0 committee.